All our rollers use the Louvolite 32mm system. The 40mm and 45mm systems are available if fabric weight, width or drop are larger. Standard finish is with a Louvolite bottom bar but Eclipse version can be requested. End caps are available in range of colours/metals. Further customisation delivered via coloured sidewinder chains, brackets, shapes and pole finishes. Choose fabrics from our own wide range or from top brands Louvolite, Eclipse, Decora, Railux, and Dutton & Gavin. Available in two headrails – Louvolite Vogue or Impala system. Choose from white (standard), silver, brown, black and champagne headrail colours. Colour coordinate weights and chains. Louvres can be welded or hand sewn. Choose fabrics from our own extensive range or from top brands Louvolite, Eclipse, Decora, Railux, and Dutton & Gavin. We use Hunter Douglas Ultimate System – the industry leading system – for our 16mm and 25mm venetian systems. 25x25mm head rail with chamfered edges and a slim shaped 20mm closed bottom rail. All parts are colour coordinated with slat, head rail and bottom rail. Also available 35mm and 50mm systems. System types offered include Cord & Wand, Privacy, Duoflex, Sideguide, Mono Wand, Mono Chain, Mon Crank, Motorized, Handle Operation, Megaview, Partition. We offer the Sherwood range of real wood venetians in four slat widths – 25mm, 35mm, 50mm and 63mm. 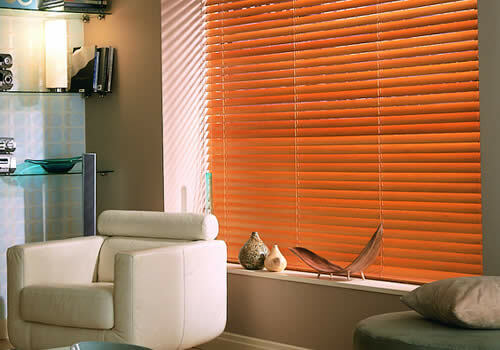 We also offer the Expression range of fauxwood blinds. Available in three slat widths – 38mm, 50mm and 63mm. 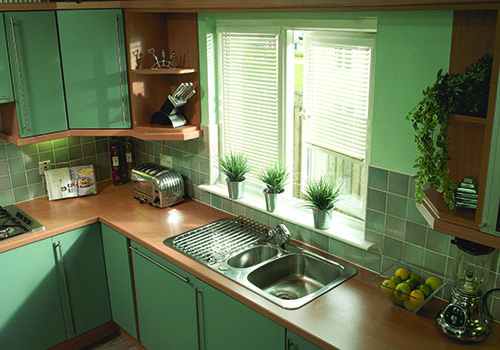 Both real wood and PVC venetians can be customised with tapes. 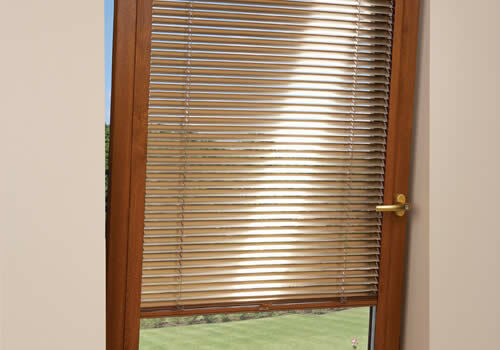 Our pleated blinds use the Benthin System as standard. Eclipse system is also available. Choose from white, brown or silver rails. We make freehanging, roof, shaped pleated blinds and electric pleated skylight blinds. Choose fabrics from our own range, Louvolite and Eclipse including cellular fabrics. Our Roman Blinds are hand-made using the Vantage chain system supplied with chrome chain, finishing pelmet and lined as standard. Add blackout and/or flame retardant lining. We can make in your own fabric too. We pattern match across same room windows unless specified. Shaped finishes also available. Choose from our own range of fabrics and from top brands such as Louvolite, Eclipse, Fryetts, iLiv, Harlequinn, Prestigious, Edmund Bell and many more. 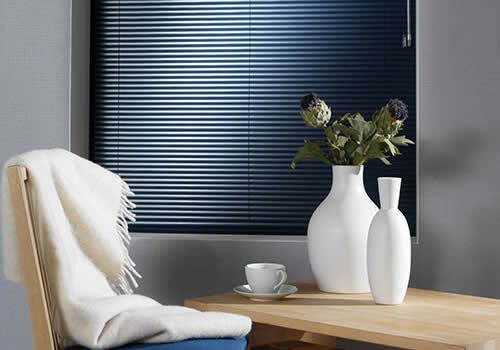 We make perfect fit pleated, international, roller and venetian blinds – standard and tensioned. Frames available in white, brown, anodised silver, golden oak, mahogany, matt grey and now the fantastic new Anthracite. We can also powder coat on all systems. We can cut handle rebates to frames too. 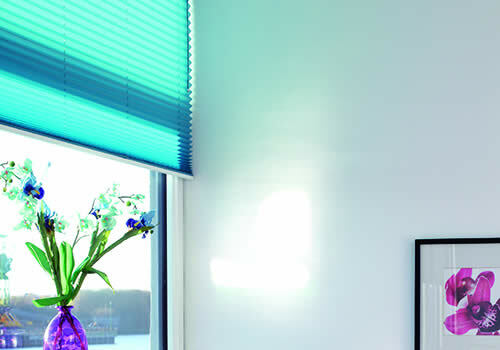 Rainbow Blinds can offer you Eclipse’s most innovative and flexible blind systems for venetians, rollers and pleated blinds. Available as bead fit or screw fit – these are quick and easy to install. 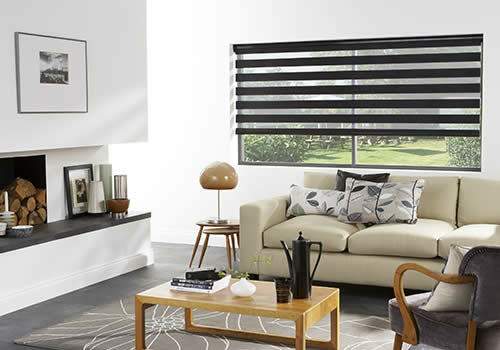 Our Vision blinds are striking feature for any home. 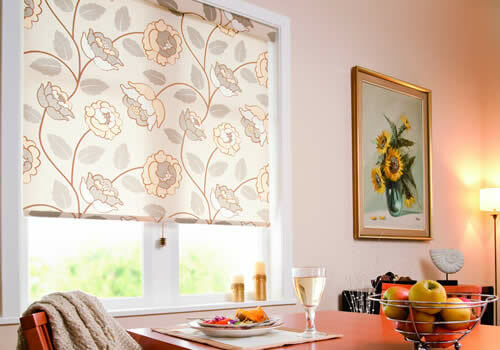 Your customers will love the light/privacy control and the look of Vision blinds. Headbox can be made with a contrasting fabric too. 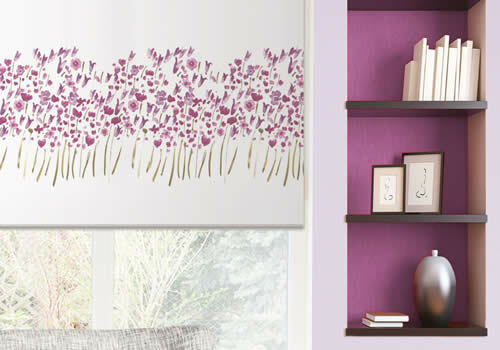 Get Senses® “Slow Rise” roller blind system from Rainbow Blinds. Also available with chain system or motorised. 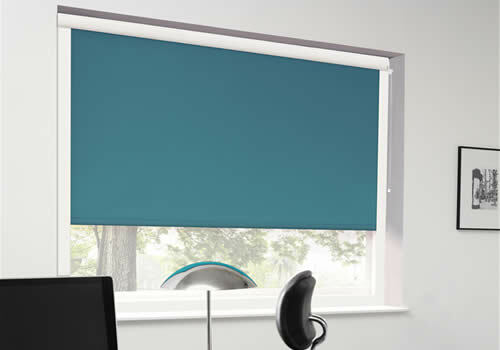 Also available is the Senses® Mirage system with over 30 fabrics and finishes. We can provide motorised versions of most of our blinds types including Powershade for Verticals and Somfy motorised roller blinds. We offer remote control, wall mounted control, battery operated and integration into home management systems. Made to measure curtains that are 100% cotton sateen lined as standard. Available as 7.5 pencil pleat, pinch pleat and eyelet with a choice of eyelet finishes. 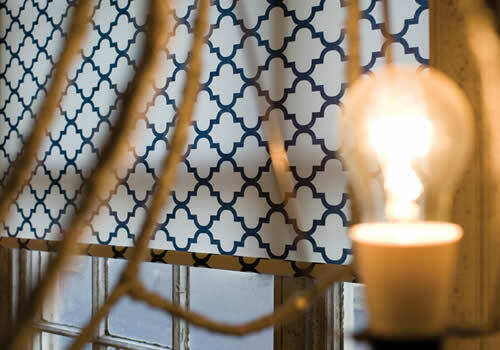 We can make the curtains with blackout lining, interlining or unlined too. Tiebacks available plain or edged. Cushions including padding are available as 17” (430mm) squares either plain or piped. Tiebacks and cushions can be made from same range of soft fabrics as our curtains. The ultimate in personalised blinds for your customers – supply your own fabric (or select one of our many ranges) and we can make you a roller blind with straight, shaped or pole finish. 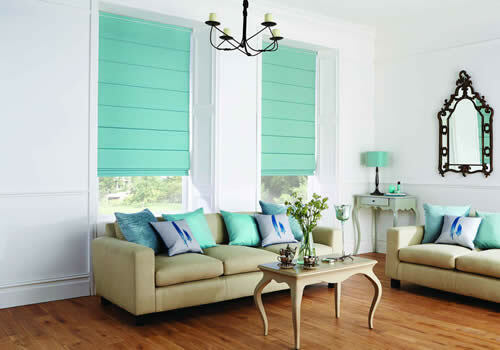 We offer our customers the fully cassetted blackout roller blind system from Louvolite. Choose between open or closed cassette. System comes in white, black and other colours upon request. Operated manually, crank, motorised, or wire guided. We are proud of our skilled staff who bring you the highest quality products in the blind industry. At Rainbow Blinds, we’ve been building blinds since 1990. 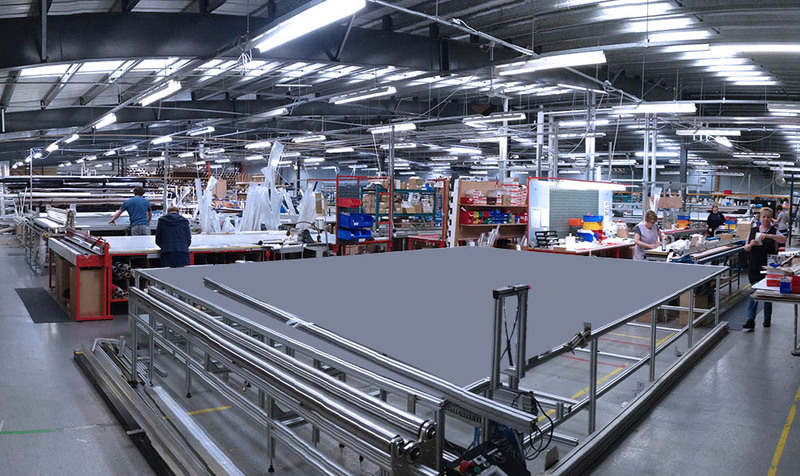 A lot of experience and attention to detail has gone into growing our manufacturing operation into the size it is today. We work with all the major suppliers in the industry. For example we can offer our trade customers Hunter Douglas’s Ultimate Venetian system including the new child safe cordless venetian. 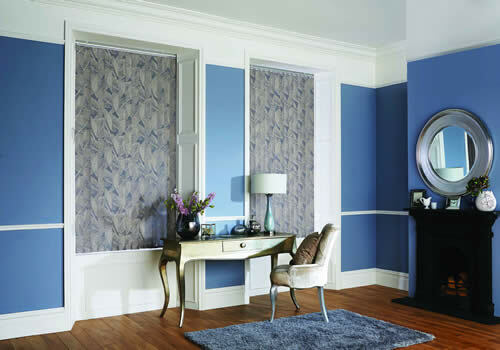 We have our own roman blind and curtain department which manufactures high quality products and soft furnishing accessories including cushions and tie backs. If you have any questions about Rainbow Blinds, our products and our service please call our Customer Services Team. 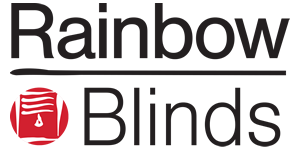 Rainbow Blinds Trade Office Opening Hours: Mon-Fri 8am-5pm, Sat 9am-3pm, Closed Sun.